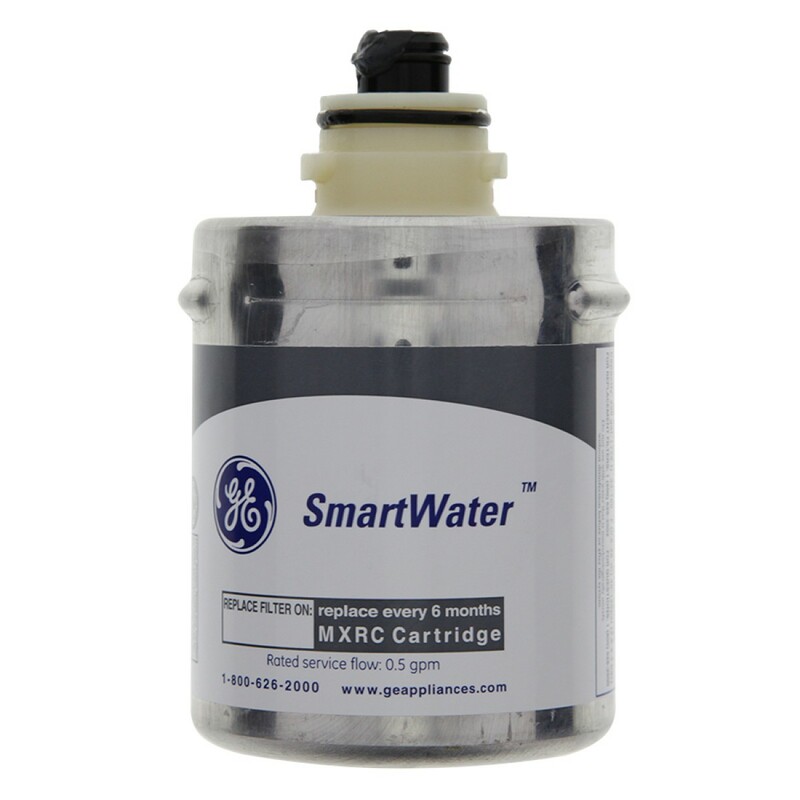 This GE SmartWater MXRC Filter reduces chlorine taste and odor, sediment, lead, cysts, and turbidity in your drinking water & ice. The GE MXRC SmartWater refrigerator filter also retains beneficial fluoride. The GE SmartWater MXRC Replacement Filter Cartridge fits GE, Hotpoint, and Kenmore refrigerators with a round metal canister filter. The GE MXRC water filter is NSF certified to ensure consumers they are drinking clean, safe water. The GE MXRC replaces the GE FXRC Water Filter ONLY for GE Monogram Refrigerators. If you have a GE FXRC in a different type of refrigerator or if you have a GE FXRT water filter, you need the MWF water filter. The MWF filter requires you to purchase the Adapter that can be reused on subsequent filter changes.